HAZARD project’s kick-off meetings were held in Turku 7th – 10th June. The actual kick off was held 8th June in Auriga Business Center. Over 40 participants representing the project partners, were present in the meeting. The morning was reserved for the project office’s presentations: the overview of the project, administration, finances and communication. In the afternoon the work package leaders were presenting the contents of the work packages. Other meetings were arranged as well during the same week. Financial officers gathered together already a day before, on 7th June, for a financial seminar. HAZARD Financial Manager Sari Tähtinen told the essential information about the project financial administration and reporting. 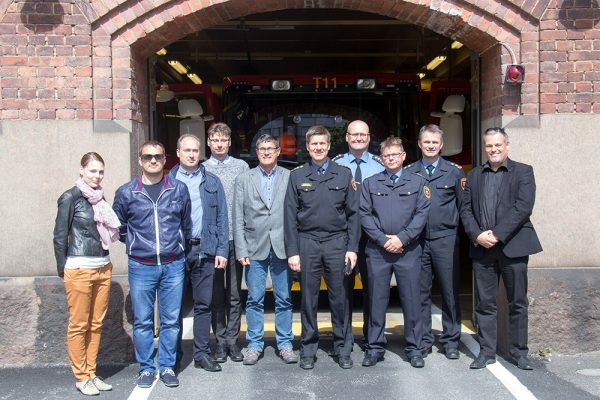 The Rescue Services partners and Seaport partners had meetings on 9th June, where the plans and goals for the project for each partner were discussed. Also the exercise schedule and staff exchange possibilities were discussed. It was very fruitful to change information and share thoughts between similar type of organisations. It was also the first time, that some of the partners met and discussed together. The academic partners took part in a logistics conference NOFOMA, which was arranged in Turku 9th – 10th June.